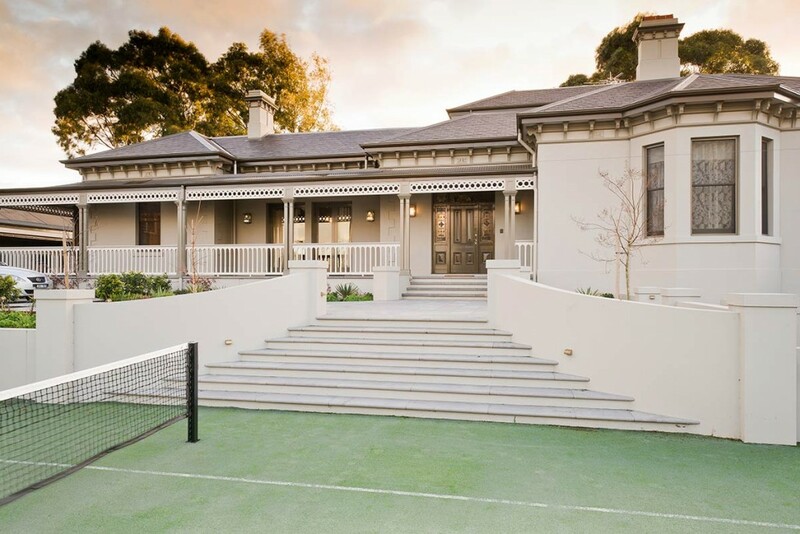 Designed in conjunction with John Patrick Landscape Architects this floodlit tennis court is the show piece of this refined garden development. 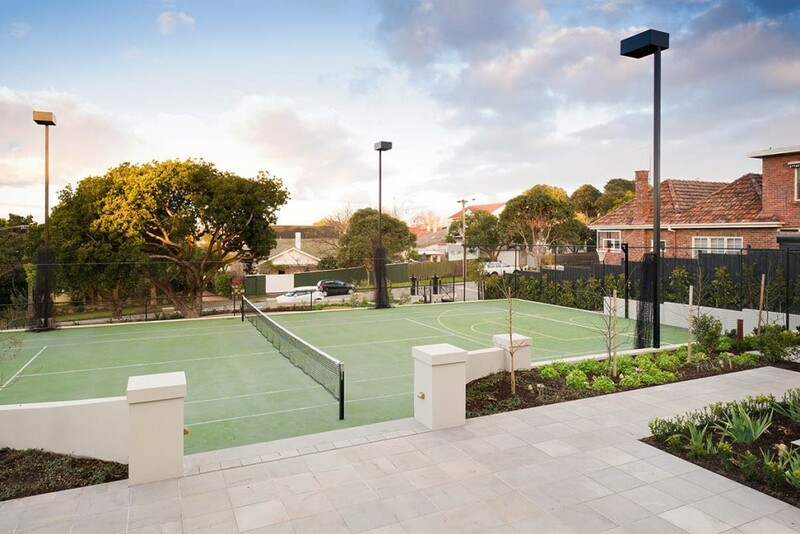 The Omnicourt Pro court surface conceals a 100,000 litre water tank whilst the award winning Level Court Drainage systems allows the court surface to perfectly match the adjacent level areas. 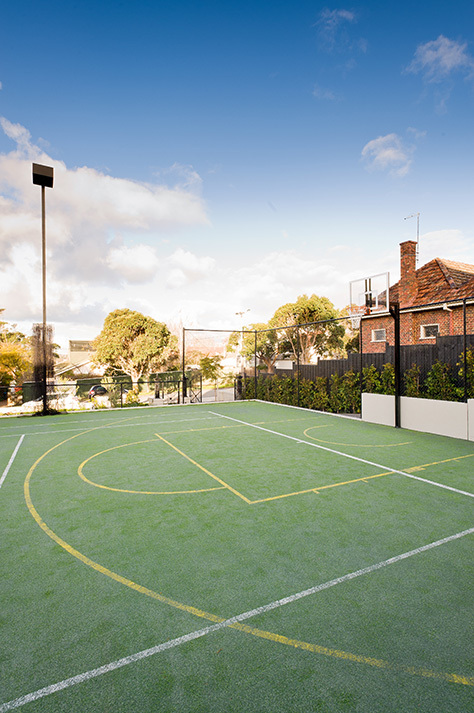 The southern end of the court features a basketball goal and line marking for added versatility. 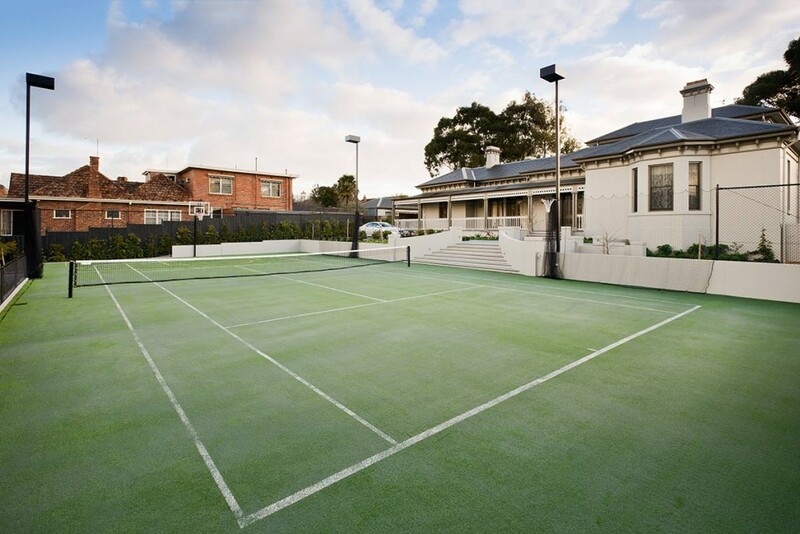 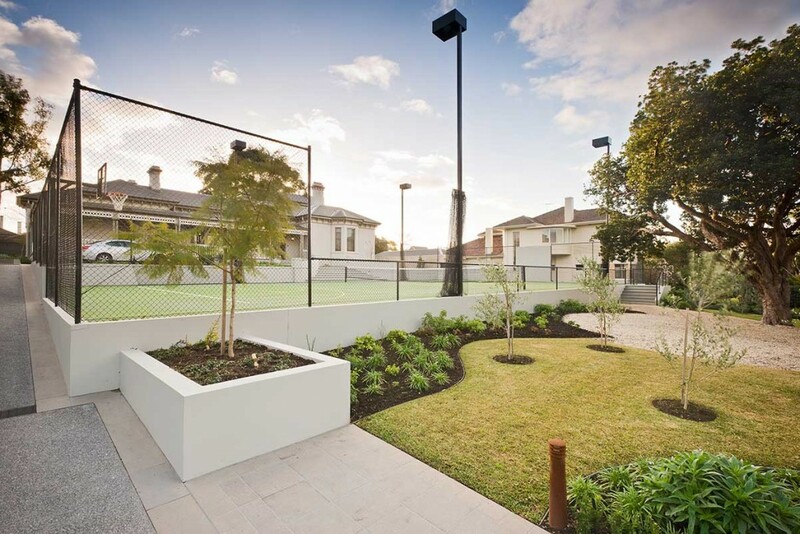 This project was recognised as a Runner Up (over $100,000) in the Tennis Court of the Year awards in 2011.